April's Little Family: Happy Halloween!!! I'm excited for tonight! It could go really well... or not. Ha! Wish us luck. 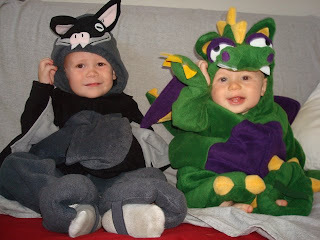 EDIT: They are a bat and a dragon. This post was written for consideration in the Blurb Halloween Photo Contest lovingly hosted by: http://www.blurb.com/?ce=parentbloggers and http://blog.parentbloggers.com. 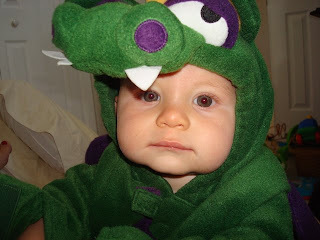 [First picture: "Cutest Costume (age 2 and under)", Second picture: "Funniest Costume" & Third picture, "Best Photo". Oh, they are just ADORABLE. I love the costumes. I hope you all have a fun and safe time. @ jessica: yes, an armadillo. a black and grey armadillo with wings and fangs. @ norris: thanks, costumes are SO FUN. @ julie: thanks! me too!! !